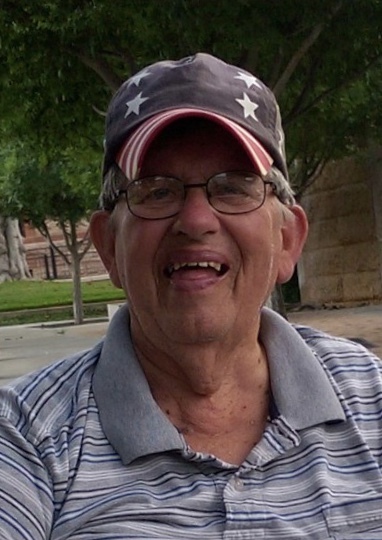 Darold Willard Deterding, 82, of Sulphur Springs, Texas, was born, July 26, 1935, in Deshler, Nebraska, the son of Willard and Ida (Sorge) Deterding. Darold was surrounded by family at Sunny Springs Rehabilitation and Nursing Home, Sulphur Springs and welcomed into his eternal home on April 9, 2018 to spend eternity with His Lord and Savior, Jesus Christ. He was baptized August 4, 1935 at St. Mark’s Evangelical Lutheran Church, Ruskin, Nebraska. He was confirmed and renewed his baptismal vows at St. Matthew’s Evangelical Lutheran Church in Earnestville, Missouri, February 20, 1949. Darold was a 1953 graduate of Knob Knoster High School, Knob Noster, Missouri and received an AA degree from the Central Missouri State University in business. On June 14, 1957 Darold was united in marriage to Willa “Billie” Jean Morales of Raytown by the Rev. Paul Eugene Ehly at Raytown Christian Church in Kansas City, Missouri. Darold’s career began by driving semi-trucks for Yellow Transit and eventually worked in their business office in Kansas City. He also drove for Riss Trucking out of Chicago while attending Concordia Theological Seminary in Springfield, Illinois. He completed his vicarage (internship) program at St. John’s Lutheran Church and School in Portage, Wisconsin before receiving his Masters of Divinity degree in 1966. When he wasn’t busy being a Pastor and father, he pitched fast-pitch softball, loved hunting, fishing and taking the family on a fishing and camping vacation once a year. He always had a large gardens which kept us canning at harvest, not to mention the rabbits we raised in our backyards. Darold was highly respected among his fellow pastors and loved his children deeply. His life reflected a love for Jesus and strong desire to share his faith in Jesus as His Lord and Savior with others so they too may know the free gift of salvation that is ours through faith. Darold, the oldest of 13, was preceded in death by his brothers Eugene, Everett, Noel, and Larry, his sister Charlotte and his mother Ida (Sorge) Deterding and father Willard Deterding. He is survived by his brothers Roger (and Betty) Deterding, Merle (and Sue) Deterding, James (and Kerri) Deterding, William Deterding, Paul (and Karen) Deterding, and his sisters Marcele (and Dewey) McCommon, and Doris (and Steve) Christopher. He is also survived by his children Marilyn (and Allen) DeYoung of New Town, North Dakota, Curtis (and Jo Ann) Deterding of Fort Myers, Florida, Rhonda (and Justo) Gonzalez of Mount Pleasant, Iowa, Bryan (and Zulma) Deterding of Sulphur Springs, Texas, Clayton Deterding of Wichita, Kansas, Shawn (and Patricia) Deterding of Sulphur Springs, Texas and Mike (and Magin) Deterding of Rose Hill, Kansas. He has a total of 21 grandchildren and 20 great-grandchildren. Visitation was held from 6:00 to 8:00 p.m. Tuesday, April 24, 2018, and from 9:00 to 10:00 a.m. Wednesday, April 25, 2018 at the funeral home. Graveside service were held 10:30 a.m. Wednesday, April 25, at the Pleasant Hill Cemetery. Funeral services were held 11:30 a.m. Wednesday, April 25 at the Bethlehem Lutheran Church in Raymore, Missouri. Pastors David Reimnitz of Bethlehem and Walter Snyder of Concordia, Missouri officiated. Memorials contributions are suggested for Lutheran Hour Ministries which is a ministry of the Lutheran Layman’s League of the Lutheran Church--Missouri Synod and may be given at the funeral service or sent in care of the funeral home.